ConceptDraw MINDMAP with the new Note Exchange solution allows to distribute and use mind maps from anywhere using powerful Evernote technology. With the launch of Evernote Business in December 2012 you will be able to use our Note Exchange solution to share mindmaps and mindmap data across your entire organization. You have competitive advantage for building strategies of company now. 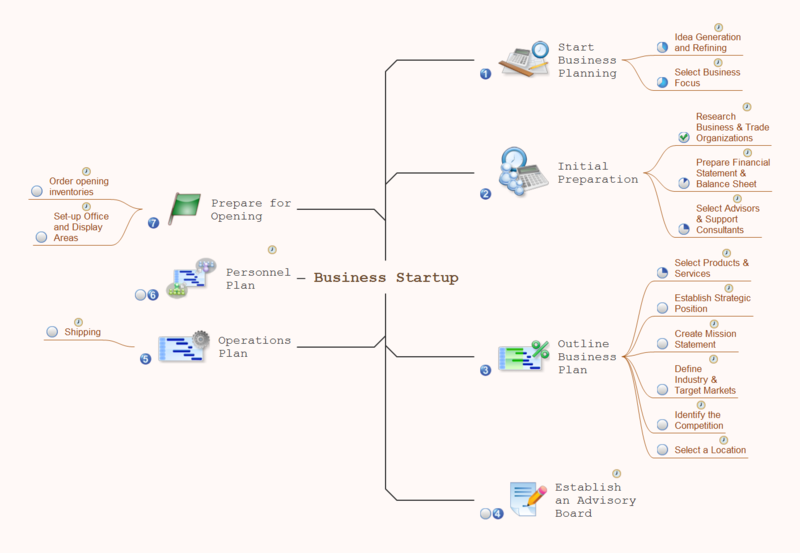 This mindmap was created in ConceptDraw MINDMAP mind mapping software by experienced user for 30 minutes as a sample for solution Note Exchange from ConceptDraw Solution Park. The Note Exchange solution extends ConceptDraw MINDMAP with the ability to exchange with Evernote, and access mind maps anywhere, on any computer or mobile device via Evernote. Use ConceptDraw MINDMAP enhanced with Note Exchange solution as a strategic planner, sending strategic plans from your mind map to Evernote. Using the Note Exchange solution you can upload a whole map, or specific parts relating to a certain objective, milestone or phase, and you can access your strategic mind maps wherever you are. Taking notes is now very easy with Evernote Solution for MindMap. Add more value to your mind map using Evernote. That's a great tool for learning. Quick access to notes. Learn how to use ConceptDraw MINDMAP v10 to create a simple presentation.